Magellan - Marine Swivel Mount for Triton 200/300/400/500 CLO This swivel dash mount lets you use your Magellan Triton 200 Triton 300 Triton 400 or Triton 500 on your boat or on the dashboard of your car (with an adhesive disk not included). Magellan - Marine Swivel Mount for Triton 1500/2000 CLOSEOUT This swivel dash mount lets you use your Magellan Triton 1500 or Triton 2000 on your boat or on the dashboard of your car (with an adhesive disk not included). Garmin - Automotive Swivel Dash Mount for nuvi 3x0 This swivel mount for nuvi 350 360 and 370 includes temporary and permanent adhesive disks that adhere the mount base to the dash unit is easily removed. 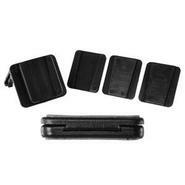 Use this with the Garmin Portable Bean Bag Vehicle Friction Mount. Garmin - Replacement Suction Cup Mount for nuvifone s replacement suction cup mount offers versatility for navigating with your n ¼vifone. Simply suction your mount to the windshield or to the included adhesive dashboard disc and you?re ready to go! 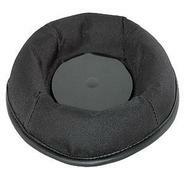 Garmin - Automotive Suction Cup Mount for zumo (Replacement Replacement automotive suction cup mount for Garmin zumo. Suctions to windshield or on top of a dashboard disk (not included).
. - Garmin Speak Plus with Amazon Alexa and Built-In Dash Cam NIB!